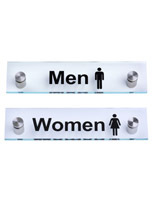 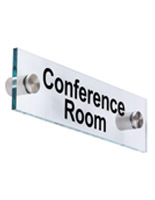 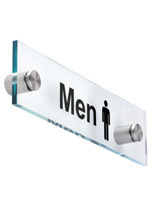 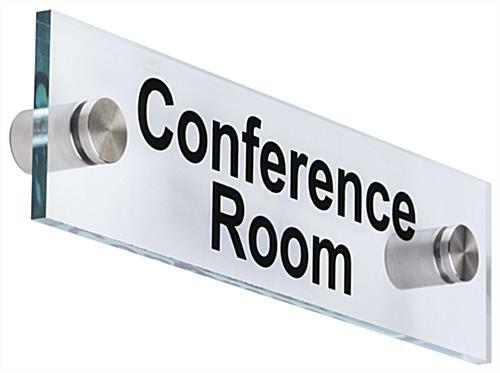 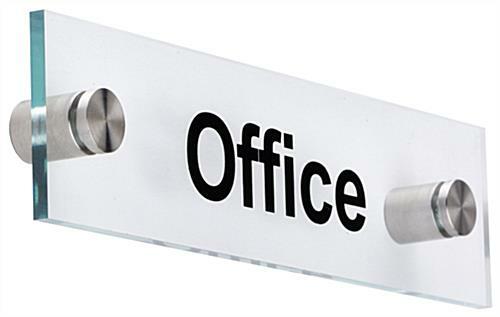 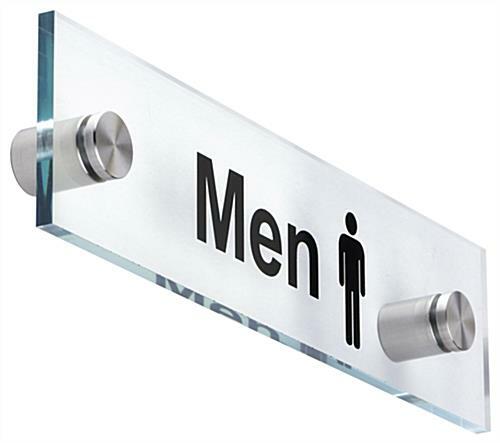 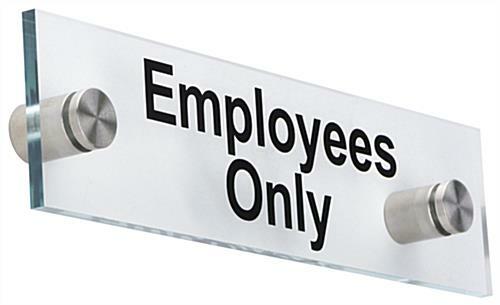 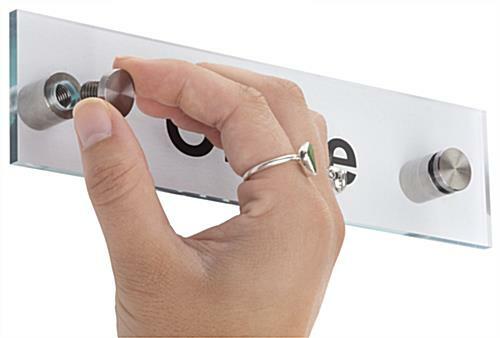 These office standoff signs feature sleek silver hardware and clear acrylic that look great in any office or hotel lobby. 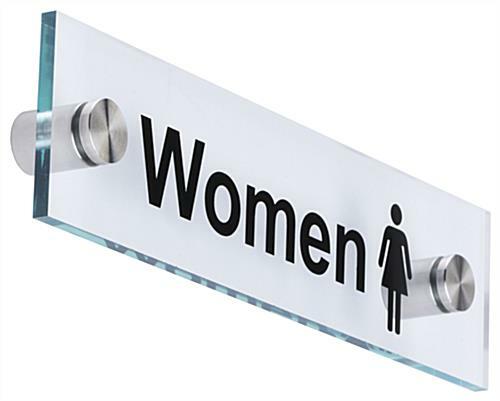 The door displays include five different fixtures: messaging that reads "Women," "Men," "Office," "Employees Only," and "Conference Room." 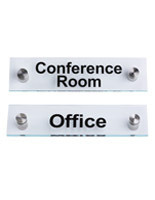 With silver standoff signs like these, any business can fill their hallways with wayfinding information, assisting customers, visitors and workers. 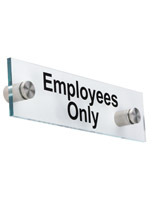 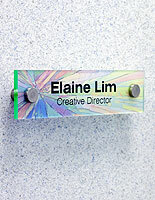 In addition, the hotel signage will stand out 0.75" from walls, making them highly visible. 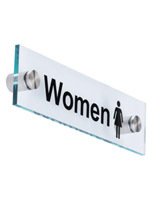 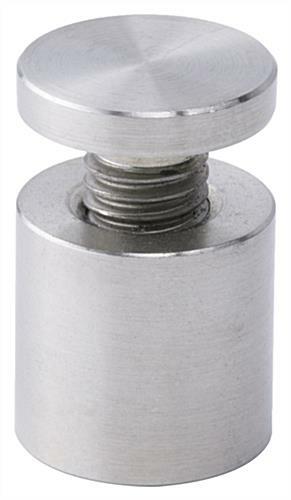 The spacers included with the signs measures 1" in diameter and are easy to set up. 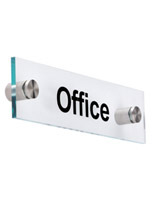 The door displays' acrylic panels feature green edges that add to their contemporary appearance.